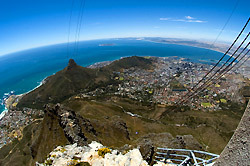 Table Mountain – a World Heritage Site – is one of the most photographed landmarks on the world and holds central Cape Town in her lap. The summit can be reached by trails or via cable-car. The latter was recently redesigned and revamped and boasts a revolving floor for panoramic viewing. Sitting at the extreme South-Western tip of Africa, Cape Point is located in the beautifully scenic Table Mountain National Park which occupies the whole Southern tip of the Cape Peninsula. Also worth seeing during a day trip here would be Boulders Beach where you can see penguins as well as the towns Simonstown and Fishhoek along the same route. About 12 kilometres north of Cape Town, Robben Island has over the years become synonymous with the anti-apartheid struggle in South Africa. It is now registered as a World Heritage Site. Return trips launch from the V & A Waterfront. 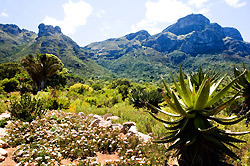 Nestled at the foot of the eastern slopes of Table Mountain, Kirstenbosch is one of eight national botanical gardens. It’s goal is to preserve the unique flora of South Africa and at its founding in 1913 it was the only botanical garden in the world with this ethos. The unique factor of this exceptional garden is that only indigenous flora is kept. This is a great picnic spot (large lawns) for the family and world class live entertainment is ongoing during summer months. 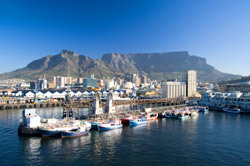 Probably Cape Town’s most visited tourist attraction apart from Table Mountain, the Victoria & Alfred Waterfront is home to shopping, a ritz of great quayside restaurants, world class hotels, buzzing open air markets and more. 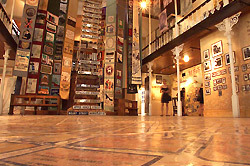 The aim of the District Six Museum is to ensure that the history of forced removals (during apartheid years) live on in the minds of all South Africans. The museum is curator of, and manages a collection of historical materials, fine prints and paintings, artifacts, photographic images, books and audio-visual recordings, most of which were donated by the ex-residents of District Six. 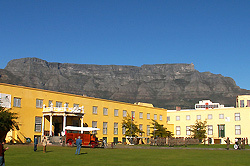 The Castle of Good Hope was built by the VOC between 1666 and 1679. 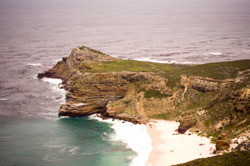 It was built in place of a fort, built by Jan van Riebeek upon his arrival (1652) in the Cape of Good Hope. 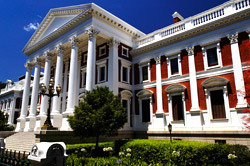 This makes it the oldest building in South Africa. 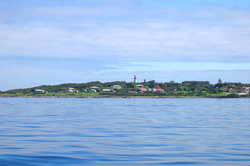 The “castle” has a distinctive shape of a pentagon and is still in use by the National Defence Force, but serves mainly as the Castle Military Museum, which also houses ceremonial functions for the traditional Cape Regiments. A visit to the Castle of Good Hope is always a fascinating experience. Go on a guided tour of Parliament, learning about the historical background and a overview of how Parliament works. You can also opt to witness debates by current policy makers from the public gallery, attend a hearing or even a committee meeting. 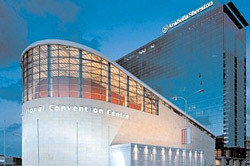 The Cape Town International Convention Centre is an architectural masterpiece sitting at the entrance to Cape Town from the N1 highway. It is extremely popular for playing host to international conventions and boasts with exceptional growth since its inception within the hospitality industry in South Africa. General festivals, trade shows and concerts are held at regular intervals, so ask your host about current events. One of Cape Town’s most popular spots for summer beach activities. From general sun bathing to volley ball, promotions and beauty contests. 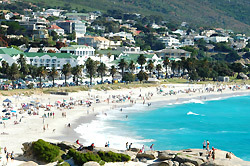 Also to be noted are the great sea fronting restaurants and bars on the Camps Bay promenade. Whether looking for a gourmet dining experience or to join the celebs in one of the many sizzling cocktail bars, you’re sure to be entertained. Clifton Beach (close to Camps Bay) is divided into 4 coves that offer glorious shelter against the summer South Eastern winds in Cape Town. 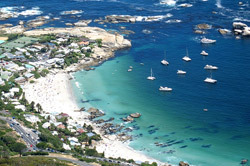 They are called 1st, 2nd, 3rd and finally 4th Beach, which is the most popular sun bathing spot in Cape Town. Clifton 4th Beach is also close to La Med, a great bar / restaurant with outdoor deck, perfect for sundowners after a long day in the sun.